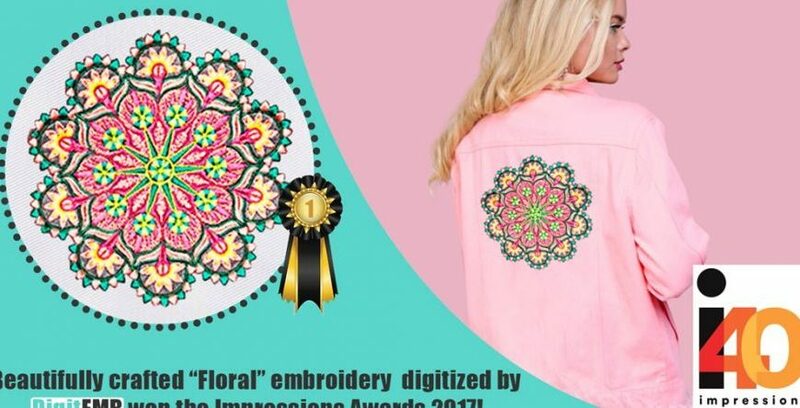 Ethnic Floral Quilting Motif Award Winning Design Beautifully embroidered “Ethnic Floral Quilting Motif” Design onto a girl jacket, DigitEMB has won the Impressions Awards 2017! 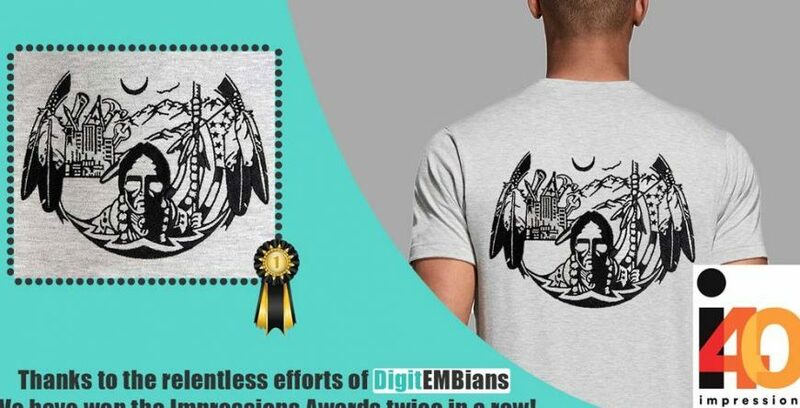 Native American Shadow Award Winning Design Thanks to the relentless efforts of DigitEMBians, we have won this Artistic “Native American Shadow” embroidery in the Impressions Awards 2017 twice in a row! 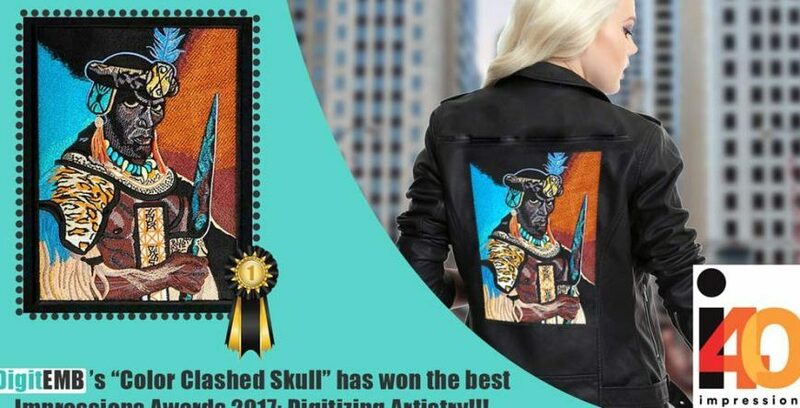 Color Clashed Skull DigitEMB 2017 Award Winning Design DigitEMB’s “Color Clashed Skull” has won the best Impressions Awards 2017: Digitizing Artistry!! !